Epilator is a hair removing device especially designed by manufacturers for women, but we know that there are so many women out there in Pakistan even they have not heard about this product. But we are here to convey them what it is and why it is good for hair moving task. 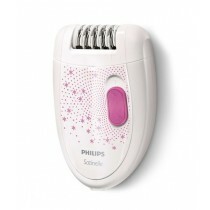 Epilator is a small device to remove hairs from root level, thus no need for hair removing solutions, creams, and waxing, those after use effects your skin even cause of allergies and your armpits get darker. 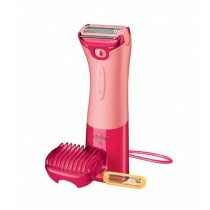 This device makes it all easy for women to remove hairs conveniently. Hair removing task for women is becoming very smooth as with this device they can remove hairs with a single pass, it has tweezers that rotate, grip hairs from roots and drag them out swiftly. With this removing, you can get lasting effects even for weeks or up to a month. Why to Choose Epilators for Hair Removing? 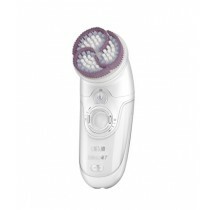 • The use of epilator makes you feel good and illuminative about your body. • It is the most cheap method of hair removing for women. Because it is a one-time investment rather than going to salons for waxing after every few days, or using other methods like shaving and using creams. It all increase the cost. • Its extended use results in slow hair growth and the most important thing is that hairs grow thinner. • Use of this device is very simple very easy. • It has metallic or ceramic tweezers for smooth removing. Are You Considering to Buy it Now? If you have made the decision to buy this magic tiny device now and you are located in Pakistan, iShopping.pk is the most reliable shop for online shopping and giving you a huge range to choose from. Just visit our category page, you will realize that you have approached the right shop. Major brands available for women epilators in our showcase includes Philips, Braun, Remington, Babyliss, Beurer and Panasonic. The most selling among them are the Braun Epilators. Do not worry about pricing or go through the market to compare, we are one stop shop offering affordable prices for original brands in Pakistan along cost-free delivery services to present the parcel to your doorstep anywhere in the country.